DHL has officially unveiled its new freight processing facility at the Melbourne airport which is more than double the size of its previous Melbourne site. The $20 million DHL Express Melbourne Gateway facility features warehousing and office facilities, as well as cutting-edge processing capabilities to enable shipment processing of more than 53,000 kilograms of goods each year. It will service 30% of DHL’s Australian volume passing through Melbourne and provide employment for almost 100 highly skilled Victorians. The 14,780 square metres hub features environmentally friendly technologies that are expected to reduce the site’s carbon emissions by almost 50%. The opening of the new facility was attended by Minister for Industry Lily D’Ambrosio, who congratulated the company for having the “foresight to establish their businesses locally” and capitalise on the strategic position of the Airport and the state’s strong global trade and export credentials. “Companies like DHL Express, and the Victorian businesses who use the Melbourne Gateway facility, are the driving force of our economy,” the Minister said. MS D’Ambrosio said the Government was committed to attracting international investment and building on overseas trade as demonstrated through the expansion of the global network of Victorian Government Business Offices and the opening of new offices in South America, Singapore and Turkey. She also pointed out that the Government provides a range of support to local firms exporting or considering exporting, including a proactive trade mission program to key markets. 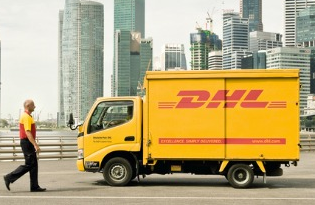 “The Government will continue to support businesses like DHL Express to grow and employ in Melbourne’s north and across the state,” the Minister added.